The team behind popular offers website, DealToday.com.mt, bring you an exciting new partnership with online table reservation system, ResDiary. 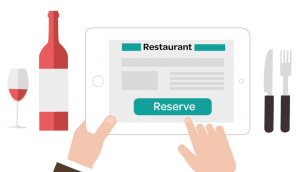 As the official ResDiary licensee in Malta, DealToday will bring the global restaurant booking system to Maltese restaurants. Attract diners online and take bookings on your website, social media, and from ResDiary.com. Effectively manage your reservations at key times and ensure yield and profit is maximized during every service.